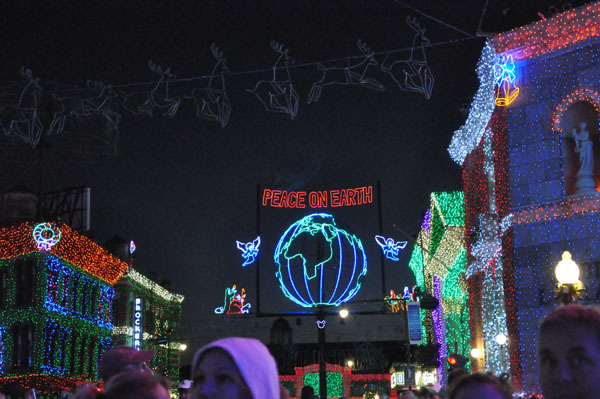 The Disney theme parks always look so festive when they are decorated for the holidays. 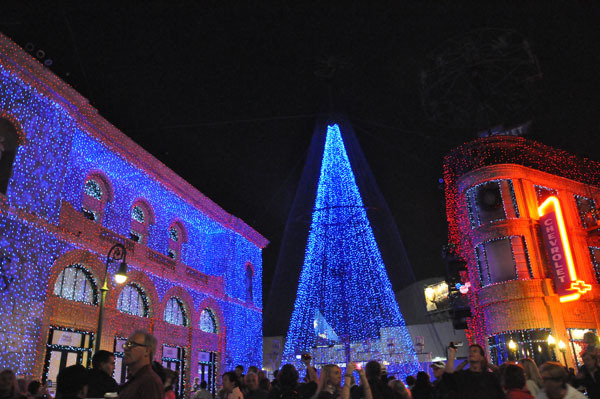 I think Disney’s Hollywood Studios is my favorite since there are more decorations here than at the other Walt Disney World parks. 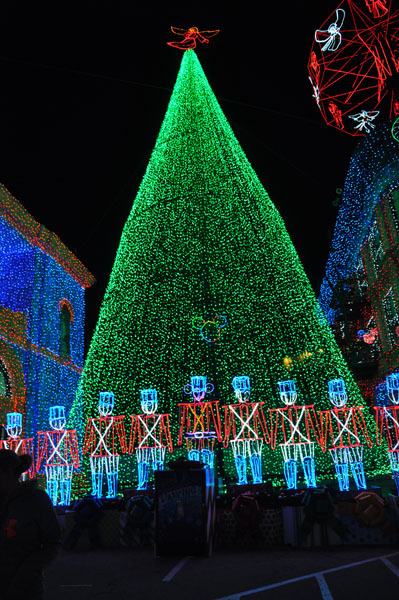 We have a family tradition of visiting the lights together one night. We have been going since the first year in 1995. My how they have changed since then! Let me tell you how this wonderful display started. 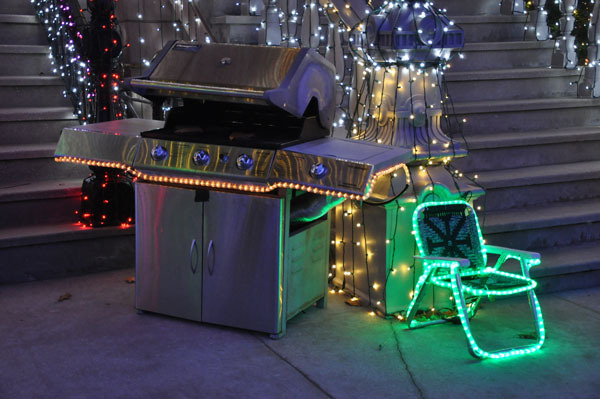 Jennings Osborne, an Arkansas businessman, started decorating his house 20 years ago as a Christmas gift to his daughter, Breezy. 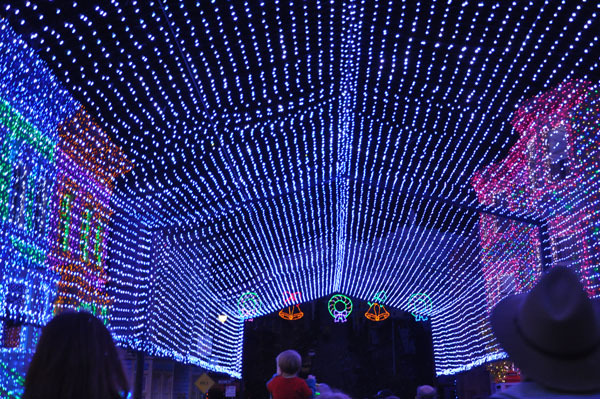 It grew and grew every year, until they donated the lights and displays to Walt Disney World in 1995. I remember years ago walking down Residential Street when the lights were in the area where Lights, Motors, Action! is in the park. It was scary crowded in those days. 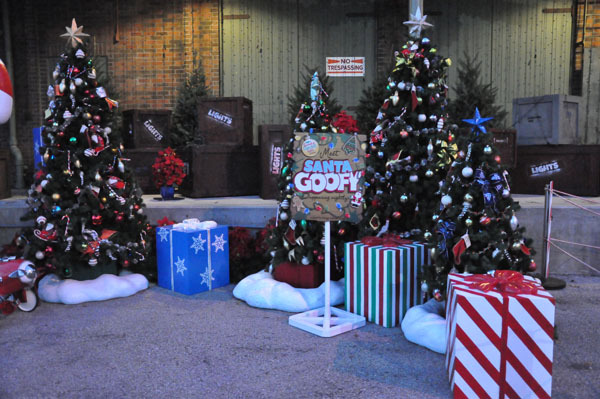 New this year, Santa Goofy will be available for meet and greets in Goofy’s Winter Wonderland. 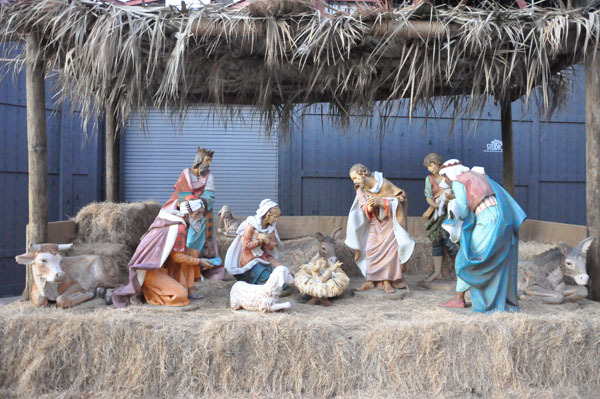 (This is formerly where the nativity scene was. They have moved it.) 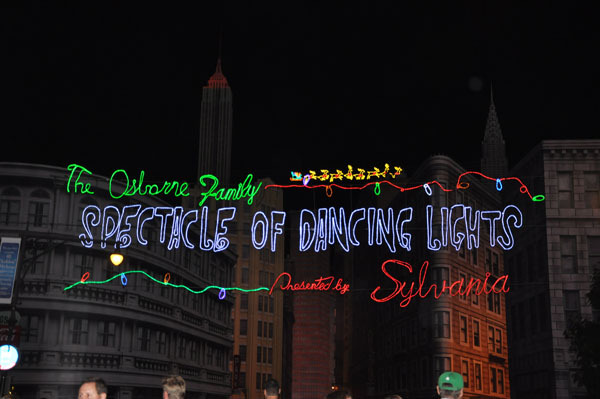 There is also a new musical number for the lights dance to. 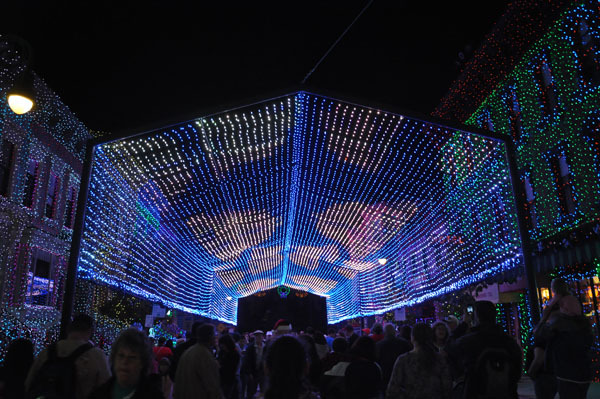 I thought the lights danced more than ever this year. 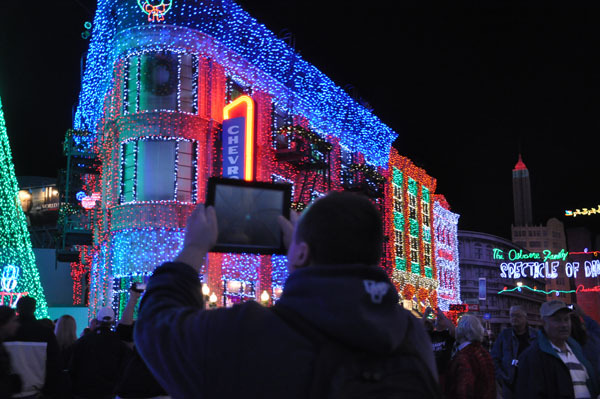 Of course the people with their iPads were out taking pictures of the lights! I still haven’t seen one in a case to protect the iPad if it is dropped. Please be aware of others around you as you block the view for everyone with your iPad. We even saw a cast member taking a guest’s picture with their iPad. Remember a little courtesy goes a long way when you are in a theme park. One of the fun things to do while you are enjoying the lights is to find the Cat. Every year they hid the cat in a different location. I won’t tell you where it is or post the picture because it is very easy. In previous years it was much harder to find. 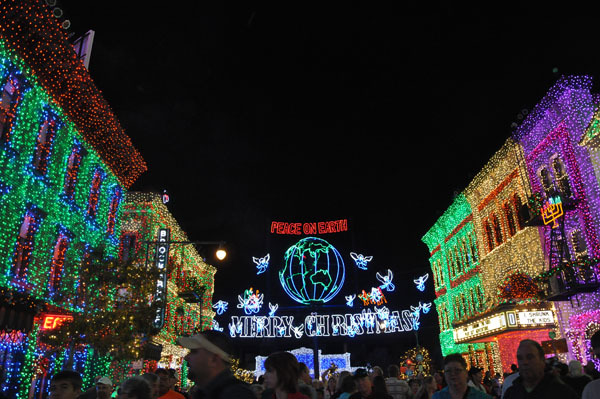 The Osborne lights are available every night through January 6, 2013. 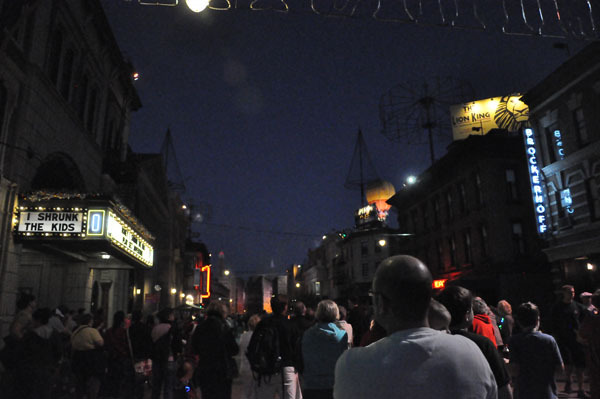 They are turned on at dusk and will remain on till park closing. 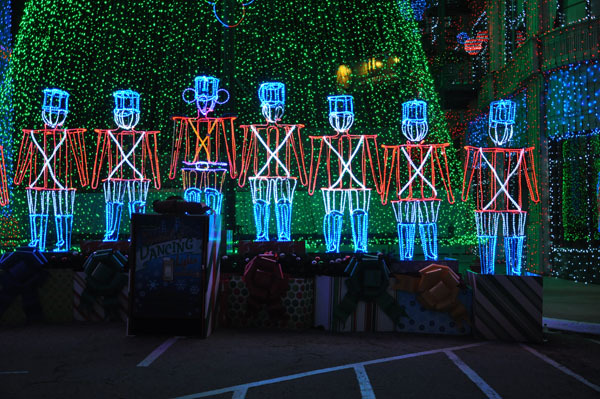 Be sure to walk around and enjoy all the displays, trees, and hidden Mickeys. 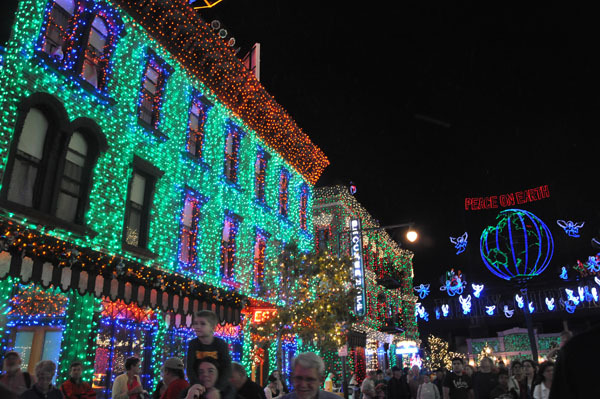 Remind me again why they discontinued the Lights of Winter at Epcot? The excuse was the technology was obsolete. 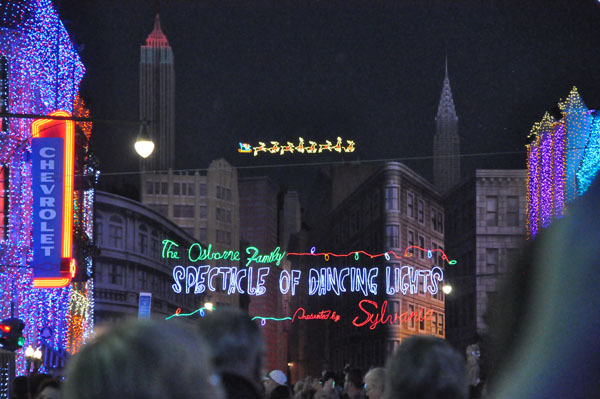 It seems they should contact someone at Hollywood Studios and restore a wonderful addition to Epcot during the holiday! What do you enjoy most at this event? 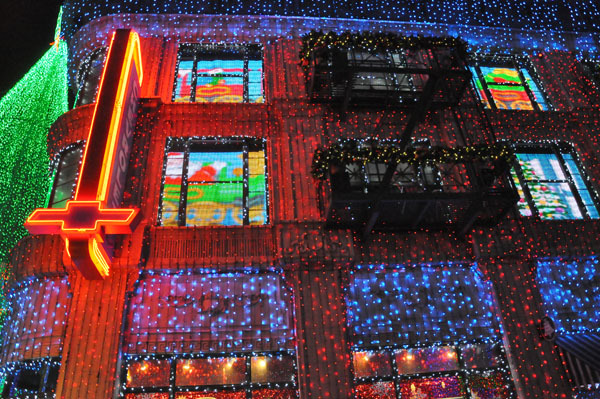 I know we will be back several more times during the holidays.